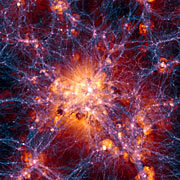 Quasars are galaxies with very active supermassive black holes at their centres. These black holes are surrounded by spinning discs of extremely hot material that is often spewed out in long jets along their axes of rotation. Quasars can shine more brightly than all the stars in the rest of their host galaxies put together. The team could not see the rotation axes or the jets of the quasars directly. Instead they measured the polarisation of the light from each quasar and, for 19 of them, found a significantly polarised signal. The direction of this polarisation, combined with other information, could be used to deduce the angle of the accretion disc and hence the direction of the spin axis of the quasar. 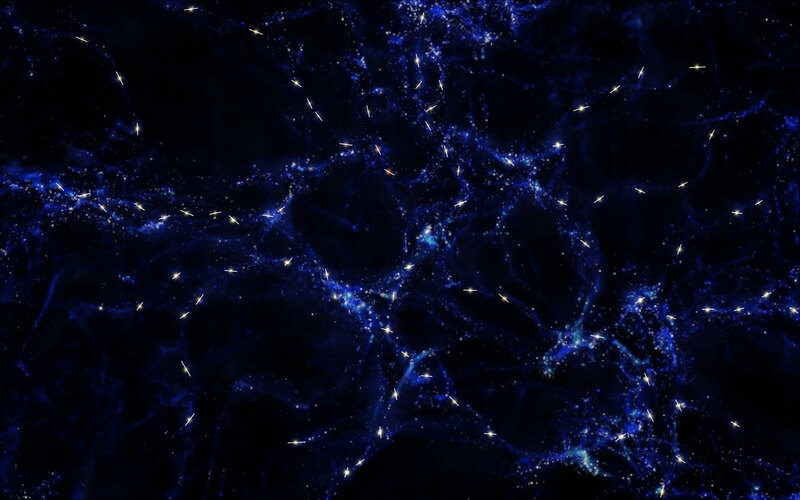 This research was presented in a paper entitled “Alignment of quasar polarizations with large-scale structures“, by D. Hutsemékers et al., to appear in the journal Astronomy & Astrophysics on 19 November 2014. The team is composed of D. Hutsemékers (Institut d’Astrophysique et de Géophysique, Université de Liège, Liège, Belgium), L. Braibant (Liège), V. Pelgrims (Liège) and D. Sluse (Argelander-Institut für Astronomie, Bonn, Germany; Liège).